Over the past several years there has been a dramatic shift in the realm of medical insurance, of which dentistry has not been immune. 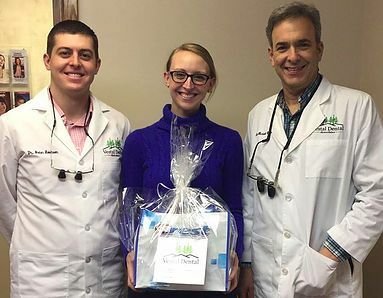 It is our belief that the absolute best care for our patients can be provided in the most cost-effective manner when dental treatment is personalized to the specific needs of each patient, receiving only the treatment that is needed, and completed with highest standards of quality… nothing more, and nothing less. Therefore, it is our choice to remain independent of the growing number of in-network dental providers. Please understand that dental insurance companies are not motivated by the welfare of their members, but rather their financial bottom line. Both patients and in-network providers can be pressured by this financially driven mentality. This often leads to unnecessary treatment simply because “insurance pays for it,” or not recommending necessary treatment because “insurance does not pay for it.” Again, our mission is to provide the highest level of personalized care available, which is possible when we are free to treat our patients in the manner best suited for their needs. We simply cannot accept insurance companies dictating the terms of this care. We will be your personalized insurance advocates, helping you receive the maximum insurance reimbursement to which you are entitled, no matter with which plan you are enrolled. Many in-network dental insurance policies provide out-of-network coverage that is either comparable or exactly the same as their in-network coverage. We are always willing to submit prior authorizations to an insurance provider in order to determine exactly what your plan will cover. Our practice has no incentive for quantity driven dentistry in order to make up for low insurance reimbursement rates. As our focus is on delivering the highest quality treatment, we only recommend treatment that you genuinely need, and we take the time necessary to do it very well. We would be happy to schedule an exam and consultation appointment for you where we could review any needed treatment and provide you with a detailed treatment plan. This way, if you go to a managed care provider it would allow you to better compare your options prior to making an important decision that impacts your health. If you have any questions or would like to discuss this further please feel free to contact our office at 607-785-3339.